Power outages are inevitable and they happen for a variety of reasons, including storms, electrical failure, downed power lines and accidents. If you have an automatic garage door, it is important to make preparations ahead of time, so that you are not to be affected by power outages and end up leaving your car outside or not being able to use it at all. • Place flashlights in the garage so you have access to lighting in case of outages. Make sure that they are located in areas that can be accessed easily in the dark. 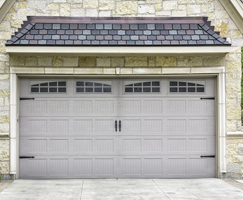 • Familiarize yourself on how to disengage the drive mechanism of your garage door. This varies greatly depending on the manufacturer. Keep a copy of their instruction book somewhere memorable inside the garage. • Write down the manufacturer's number if you don't have an instruction book. This way, you will be able to refer the technician to it. • Keep calm and retrieve the flashlight and instruction book on how you can open the garage door. • Calling your neighbour or a close by friend for immediate help would be a good idea. • Call the power company and find out what caused the failure and what time it will be fixed. This will let you decide whether or not to manually open the garage door or wait for the power to come back. You cannot stop power outages from happening, but you can stop yourself from experiencing stress just because you can't open your garage door. By just following a few easy steps, you can save yourself from the hassle! Keep these things in mind and start preparing now. Obviously, if the garage door malfunctions because of the power outage, feel free to contact us at Garage Door Repair River Edge.